If you are looking for a source to create and publish your homeowners, community or your company newsletter, you have found the right place! 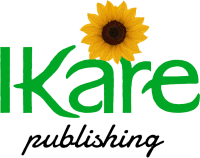 IKare Publishing is a premiere newsletter publishing company. From concept to distribution we have the talent and resources to make publishing a newsletter hassle free for you. From newsletter design to printing and mailing, IKare Publishing is your one stop source for professional newsletter production. We will provide you with the most up to date concepts in newsletter design with our graphic designers who can take your dreams and make them a reality! IKare Publishing has been publishing community newsletters and company newsletters for over forty years. The newsletters help create volunteerism, bring the community together, and help keep communication open between the residents and the different boards within the communities. What IKare Publishing Can Do For You? IKare Publishing, Inc. publishes two types of newsletters, one with no advertising, the community/company pays for the designing, printing and mailing. The other is one is supported by advertisers whom we secure on behalf of the community. The advertising income backs the designing, printing, and mailing, there is no cost to the community. We can create, publish and mail a newsletter for you as often as you would like. We have found that the readers are devoted to reading their newsletter since the news directly affects them. If you would be interested in advertising in one or all of our community newsletters please feel free to contact us. Fifty percent of our advertisers that started with us forty years ago are still with us today! That is the best testimony we can give that advertising with us WORKS! Please feel free to use our contact form, directly or email newsletter questions and inquiries to us at ikarepublishing@gmail.com or call 813-991-7843 for more information. Businesses who advertise with IKare win!!! Contact us today to find out how IKare Publishing can help your business grow!